Thanks for the advice on saving battery! A question - what would be the command to switch back to the default? I.e. 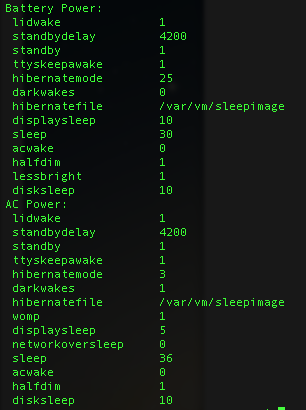 hibernatemode 3 and perhaps other parameters.